Butterflies Don’t Live in Houses! The tone of this article is satirical with content that is serious, informative, and thought-provoking. Also, the comment section is well worth a read because it does spawn a fair discussion. 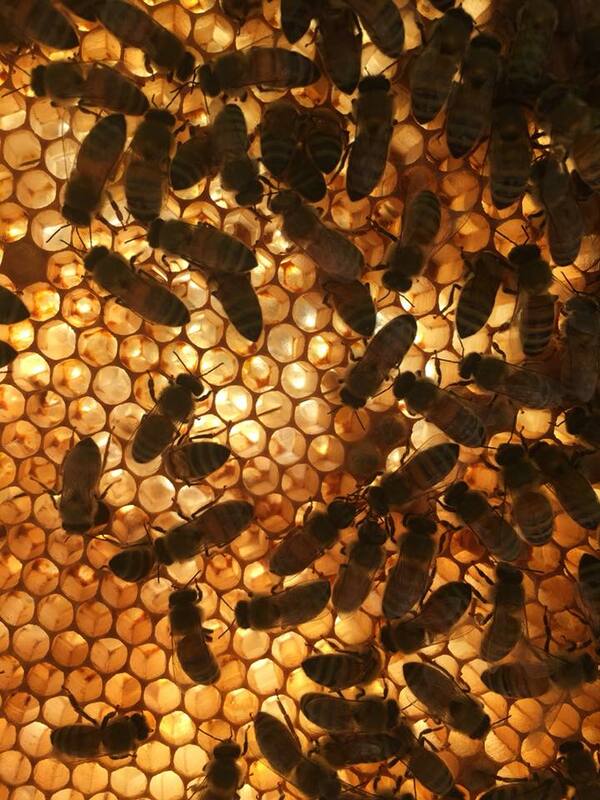 My personal feeling is that small-scale beekeepers produce an ecologically balanced product, with an understanding of metaphysics that are personal, local, and with a touch of love. Following doctrine blindly is not useful because we all, I hope, want to use our natural intelligence, wisdom, and right thinking morality to have our existence be a positive to the world. I have a vegan acquaintance. He is a mild, considerate, and generally pleasant young man. He thinks that beekeeping is cruel and inhumane. He tells me that honey-eating encourages theft and the abuse, imprisonment and exploitation of insects. “Tell me more,” I said. Vegans, my friend told me, feel that if you eat honey, you harm the environment and you injure your health. I think that my friend and others like him make these false statements because they don’t know how honey is made nor how bees are kept. Such narrow thoughts give reasonable vegetarians a bad name. Much misinformation is rooted in an almost cult-like adherence to dogma created by the revered Donald Watson, founder of the vegan movement. Today I found myself at Mann Lake Ltd. in Hackensack, Minnesota. I like to visit showrooms and beekeeping vendors when I am on long drives or in places that are remote to me, northern Minnesota counts as someplace remote to New England. Drove half an hour north of Brainerd while on vacationing with in-laws. The Mann Lake showroom is the most massive display of beekeeping equipment in one place that I have seen to date. They apparently have a Pennsylvania showroom that is larger, so that can be another adventure. Only bought a few small items since flying home there is a little room in my bags. They have lots of books and at least a thousand products from the catalog in the showroom (≈3500 products total). If one doesn’t see something just ask for it and they will go get it. When a customer enters, someone gets up from the office and come to help you. They answered ALL my questions, and we talked about bees for a while. The staff was accommodating and was happy to answer all my questions. Mann Lake’s showroom in Minnesota with thousands of items. I learned many things today that were interesting such as the Mann Lake company was started in 1983 locally in Mann Lake, MN by Jack and Betty Thomas who still help run the company. I saw their reserved parking spots, so they are definitely around. The company is dedicated to quality product, that provides jobs for good people. The company is now employee owned under an ESOP (Employee Stock Ownership Plan). This way, the company’s employees carry on Jack and Betty’s dedication to beekeepers’ success., so their workforce has skin in the game and wants to be as innovative and forward thinking as possible. This motivates me personally to throw more business their way. (I have no affiliating to Mann Lake at this time. And I would mind one…) I prefer doing business with people who have my respect, and are local or Have ties to. My favorite are companies that employ people in the city, state, region, or county I’m living in. Minnesota was where my father spent his summers when he was farmed out of Chicago when he was growing up, and I have family here. Picture of a garden style hive at the Mann Lake showroom. Mann Lake is not behind the magazine Bee Culture, which is a price of extraneous information picked up someplace. Bee Culture is its own entity, though the showroom sells the magazine. They don’t have any attraction for tourists to visit, other than the showroom. They do have demo hives out back to demo equipment. Don’t have more details on that I’m leaving too soon. People in Minnesota really like Italian bees, probably because of the fast build up in the spring. 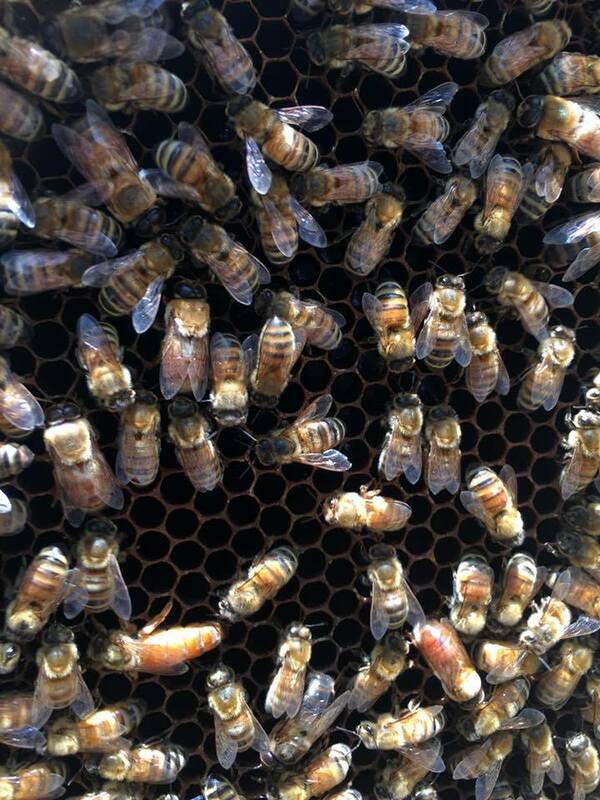 They are having an excellent honey year this 2018. 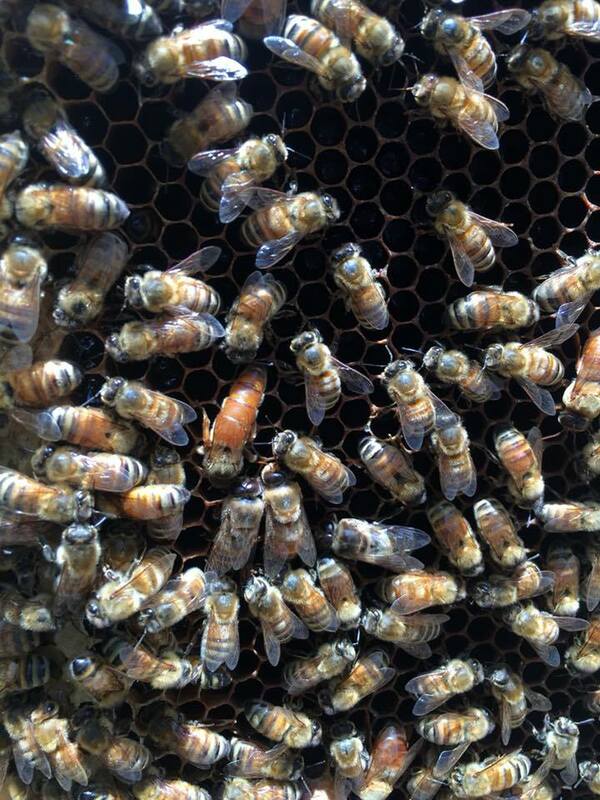 They are interested in new strains of bees and willing to try them out. 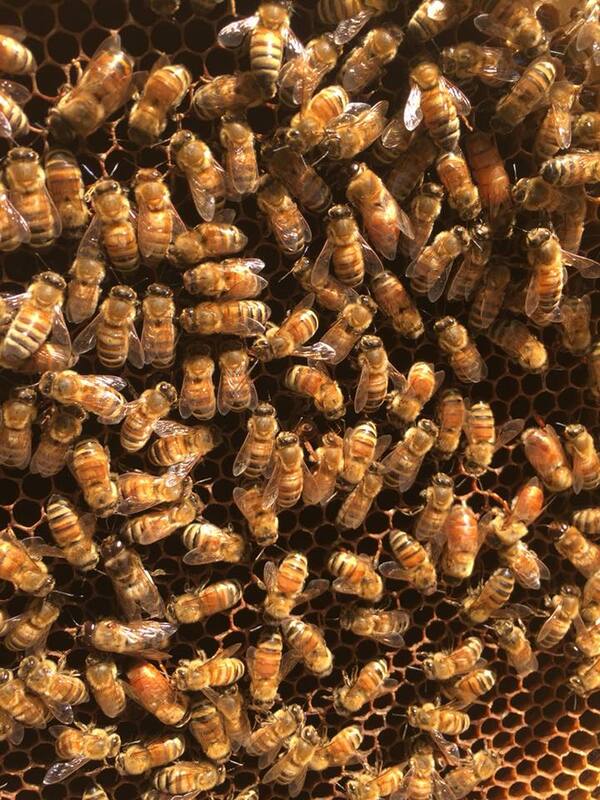 They get their bees mainly from California breeders here in MN. The Mann Lake store can sell you 60# buckets of honey. I just don’t want to haul that on the plane back home to Boston. Their new green propolis trap pad (HD-368) is softer/bendy than the old one. Plus, it’s cheaper, so I bought two, see the Propolis Traps. I got to see both types of pollen traps for the hives. 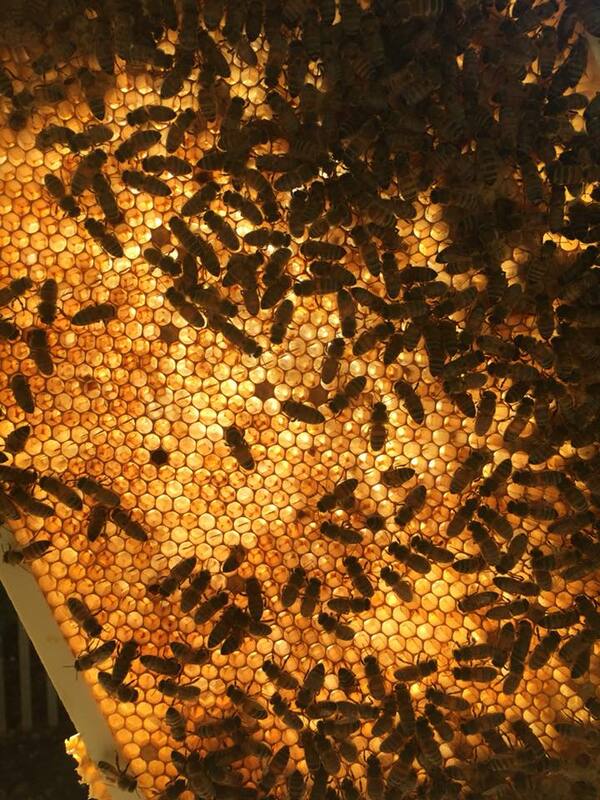 The entrance hive one has three sizes of hardware cloth in it; i.e., 1/16″, 1/8″, & 3/16″ grid. The box frame version can be turned on and off, as opposed to the entrance trap which needs to be removed. (Links to follow). I like the variety and choice. They don’t carry any of the cheap plastic ones that come out of China. More on pollen collectors late this year. Good jobs are hard to find up here in upper Minnesota. There are resorts and seasonal tourist work, but steady good work with benefits are hard to find. The people that work here s need happy, and Minnesotans are charming, polite folks in my experience. I have dealt with customer service a couple time via email and am so pleased with the level of response I have gotten. Thank you to the folks a Mann Lake Ltd showroom for making my visit so enjoyable and worth my time. For the reader, it is worth a detour to visit this location. Mann Lake showroom display rack, wish I lived nearby so I could window shop each week. I found the Queen! The Bergamot Hive is a glorious mystery to me with wax that is chocolate brown, smelling like cocoa, and produces a lot of honey. 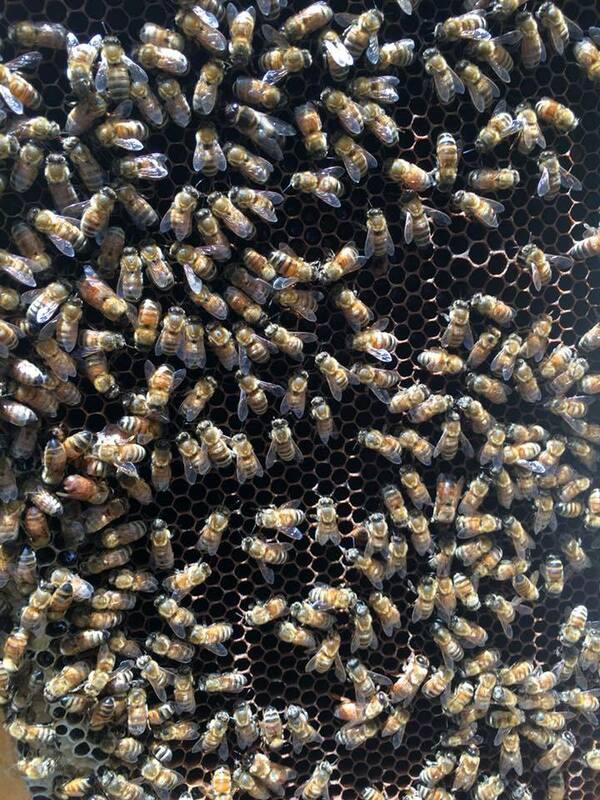 The Queen (mother bee) has eluded all attempts at detection. Then on a brilliant Saturday morning during the hive inspection of this calm hive, (Calm bee means there must be a Queen bee inside, right?) while examining the frames Her Majesty revealed herself! She is a beautiful caramel color and fast; as soon as she was spotted she slipped to the other side of the frame. The shy lady that she is, who can blame her modesty. Then promptly placed the frame back into the hive-body and put the hive back together. Here are some pictures of the frames and at least one has the Queen on it. “The Apinae has characteristics so distinct and well-marked that one is inclined to credit all its members with one common ancestor. The disciples of Darwin, Hermann Müller among others, consider a little wild bee, the Prosopis, which is to be found all over the universe, as the actual representative of the primitive bee whence all have issued that are known to us today. Aristaeus’ Mysteries: Where do all the dead bees go? Where do the dead bee carcasses go that are in the apiary where my hives are? I knew there are under-taker bees that transport dead bees away some distance from the colony. There are corporate sponsored hives near my work, and the beekeepers have neglected to clean up the thousands of dead bees around their hives after the winter kill. Shameful! In my apiary, there are no more than a couple dead bees lying around at any time. Why? I was in my hives a lot this weekend and inadvertently killed many bees. I feel terrible about this because being relatively new to beekeeping and like the bees, this stings me too. Smarts it does, the hope is these lunatic feelings of remorse will inevitably fade with time, someday I hope to laugh at my self. Back to the corpses of bees that lay in front of the hive after the under-taker bees give up trying to fly them far away from the colony. 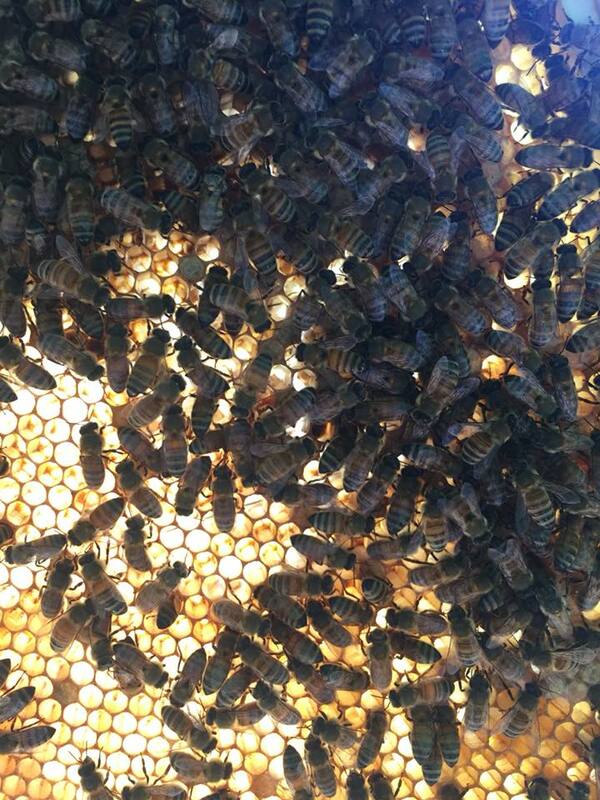 I sat in front of the hive after my work was done and watched the bees clean burr comb left out for them. Then what happened was two hornets were loitering suspiciously in front of the hive at ground level. I thought they might have come for the syrup spilled earlier in the day. Nope, the syrup was gone. One hornet was working on something… what was she doing? Looking closely she was butchering the fresh corpse of a bee that had been dropped in front of the hive. She tried to pick it up once or twice to fly away with the whole carcass, but couldn’t lift it. Eventually, she got the head off and flew away with it. A minute later she was back and flew away with the rest of the carrion. Fantastic, the circle of life at work. So I wonder if the chipmunks in the area are also munching on dead bees? Will need to watch out for that. It just goes to prove that nothing is wasted in nature unless humanity is given supremacy. Bee, wasps, and hornets all have their function.